Our Facebook group Boycott Jew Hatred encourages free speech within the confines of our focus (i.e. resisting antisemitism and discussing issues and strategies related to it). In addition to opposing classic antisemitism and the growing threat of Jihadi Islam, we also openly acknowledge "the enemy within." There are obvious examples of these sorts of enemies such as the so-called True Torah Jews, Neturei-Karta, and other anti-Zionists. In defence of Zionism we ban such people from our groups. There are equally disturbing but less known examples and self-hating Jews, such as the Harvard Hillel and UCLA Jewish Studies Program that sometimes support anti-Israel activists and the Hamas/PA based BDS movement. We often discuss these events as they arise. Then there are cases that are not as clear. Accusations are made, evidence is cited and sometimes debunked. This piece is about one such group. Recently an attack piece was posted about the controversial group Women of the Wall. This piece questioned the group's embrace of Zionism and of Israel's very existence. The brouhaha that erupted yesterday at Women of the Wall’s monthly [Kotel] service brought back memories of the violence the group suffered in 2013. Month after month, crowds of Heredi Orthodox Jews packed the plaza to block out the women’s section, with a small minority hurling stones, eggs, coffee, [etc] at the women’s prayer group. A second women’s group formed to galvanize opposition to Women of the Wall [emphasis mine]. How could such conflicts happen at Judaism's holiest site between people who supposedly simply wish to properly observe the Jewish religion? "The Second Temple was destroyed, our rabbis teach, because “baseless hatred” prevailed at the time. But the Jews did not learn their lesson. Rabbinic Judaism denounced the Karaites as heretics and the Mitnagdim and the Hasidim were at each others’ throats, as were traditionalists and Maskilim. And of course, some Orthodox Jews still revile the Reform, while the Reform have few good words to say about the Haredim" -- Source. We Jews are as divided today as we have ever been! Yet many believe that we somehow merit the coming of HaMashiach and the restored Beit HaMikdash (i.e. the House of the Holy: the Third Temple). Those Who Fail to Remember the Past are Condemned to Repeat It. When the Sacred Jerusalem Temple was destroyed in 70 CE part of the Jewish soul also perished and awaits resurrection. This ongoing controversy has this yearning at its core. For nearly 2000 years religious and non-religious Jews alike have yearned for the restoration of Israel and for the rebuilding of our Sacred Temple. In 1948 the nation was partially restored, but the Holy City remained in Muslim hands. After an unsuccessful Muslim attempt to destroy the reborn nation in 1967 the Holy City and other areas were restored to us. Sadly most of our Land remains occupied by Muslim forces as the graphic to the right shows, but Jerusalem is again in Israeli hands. Even though Israeli forces successfully retook the Holy City in 1967, including the Sacred Mount or Har HaBáyit where our once and future Temple stood, the Mount was, for purposes of political appeasement, left in the hands of the Muslim Jordanian authority. The government of Israel managed to grasp defeat from the very jaws of victory. This decision by the Israeli government continues to produce unwholesome fruit today. Har HaBáyit remains under Muslim control. Jews are not allowed to worship at our most sacred sanctuary and the Third Temple remains a dream, while Muslims continue to worship their god on our holiest site unhindered. Occasionally they even stone those who come to the Kotel (the Western Wall) to worship from its heights. Its important to understand the above when discussing this issue. Traditional Jews deserve to observe traditional Judaism at our traditional holy sites. This does not seem like so much to ask! The Kotel is the 2nd holiest of these sites. The most holy place is the site of our former Temple. The Muslim Al-Aqsa Mosque and Dome of the Rock now stand there. While we can not yet ascend the Sacred Mount to worship the Eternal as many of us would like (there is legitimate Jewish debate over the halachic permissibility of going up to Har HaBáyit), we painfully remember what we have lost and thus far not restored. We yearn for the Temple's restoration and for the coming of the King of Israel, Mashiach ben David. Religious Jews pray for his reign daily as part of the Amida (see points 14 and 15 on the linked page). In the Torah HaShem defines the Har HaBáyit area and its divisions. Among these biblical divisions we find clear gender separation. These divisions are in the Torah and they will certainly be enforced by Messianic government once the Temple is rebuilt and our King is ruling because the Torah is our Eternal Law. Some Jews (and many Gentiles) will not be happy about these Torah mandated restrictions but it is nor our place to criticize the Creator. Other areas will be reserved for the priests, barring the average Jewish males, and the Most Holy Place will be reserved for the High Priest alone as in biblical times, barring admission by all. Just as HaShem orders. The Beit HaMikdash is the "House of the Holy" and the Holy One determines its usage and access through the system He has had in place for the past 3000 plus years. All Jews should respect this line of authority. If not, they are following in the ways of Korah, Dathan and Abiram who rebelled against the authority of Moshe Rabbeinu, may HaShem protect us. Sincere men and women who desire deveikut, attachment or cleaving to G-d, will have no problem with being restricted to and/or from these Torah defined areas, understanding the Torah mandates the rules. After all, Torah is the "Mind" or "Garment" of HaShem. To rebel against the revealed Will of HaShem is unthinkable for such people. For Torah observant Jews harmonizing with HaShem's revealed Will is part of the design established by HaShem. Would that the present gender issues at the Wall were so clear cut! Torah itself does not discuss such issues at the Kotel. Prior to the restoration of the Kotel women and men both prayed there and even the current separation was not there. Some assume this mean the current policy is of human origin and hence baseless. This is not the case however. We are called "Rabbinic Judaism" because we acknowledge the G-d ordained authority of our traditional Rabbis. Even as the Men of the Great Assembly had the anointed authority to do their works and alter certain then existing rules, even as Rabbi Hillel had the authority to reconfigure our calender, even as the rabbis had the recognized authority to update halacha for the modern times in other areas, so too they maintain the authority over the Kotel and preserving our shared Traditions. Change comes very gradually to Judaism and our laws. Protesting at our Holy Places is not the way to enact change. Rather, it is the way of Korah, Dathan and Abiram. Many of these people who are rejecting or challenging Rabbinic authority at the Kotel today will certainly not be happy with the rules governing the coming Third Temple either. I can almost see wayward Jews and others standing before the Third Temple protesting HaShem there! If such outrages are allowed at that point. Far too many Jews today seem to believe that G-d must conform to our social paradigms instead of the other way around. Far too many today believe in HaShem as a "concept" but not as an actual Existing Being. One can almost hear HaShem's response: "Who is this who gives dark counsel, with words, without knowledge? Now gird your loins like a man, and I will ask you and [you] tell Me. Where were you when I founded the earth? Tell if you know understanding." "Will one who contends with the Almighty make himself master? He who argues with God, let him answer it." "Will you even make void My judgment? Will you condemn Me in order that you be justified?" - Based on Iyov (Job) chapters 38 and 39. Many of these protesting Jews, based on their shared rejection of Jewish Chosenness and Torah halacha, view our sacred places as universal shrines and oppose any form of Jewish distinctiveness and rabbinic oversight. While the Temple divisions reflected in the Rabbinic rulings regarding the separation decrees at the Kotel may be debateable, the greater question is not. Who holds authority among our people? Supporters of WOW often also support what they call "post Rabbinic Judaism." "Post Rabbinic Judaism" would be anarchy and the death of our people. Without vision the people become unrestrained, but he who keeps the Torah is fortunate" --Mishlei (Proverbs) 29:18. When Israel causes prophecy to withdraw from them by mocking the prophets, they will become unrestrained and will degenerate. For many traditional and Orthodox women and men these separations are seen as a blessing of HaShem, even more-so for the women than for men, freeing them to focus on HaShem alone without distraction from their husband's or suitor's presence. More importantly, they maintain the traditional halacha. It is our Traditions that have enabled the Jewish people to survive. Such Traditions are not easily discarded. Non-traditional women and men on the other hand, often view the mandated gender separation as sexism, as a denial of equal rights and access. From a traditional perspective nothing could be farther from the truth. Being assimilated into Western consciousness however the non-traditionalists lack the traditional Jewish paradigm in these areas. Rather than embrace Jewish tradition they reject it and seek to enforce the views of the other nations onto ours. This is the problem. Its easy to identify, but to solve it? That's a different matter! Hearken to the word that the Lord spoke about you, O house of Israel. So says the Lord: of the way of the nations you shall not learn, and from the signs of the heaven be not dismayed, for the nations are dismayed from them. 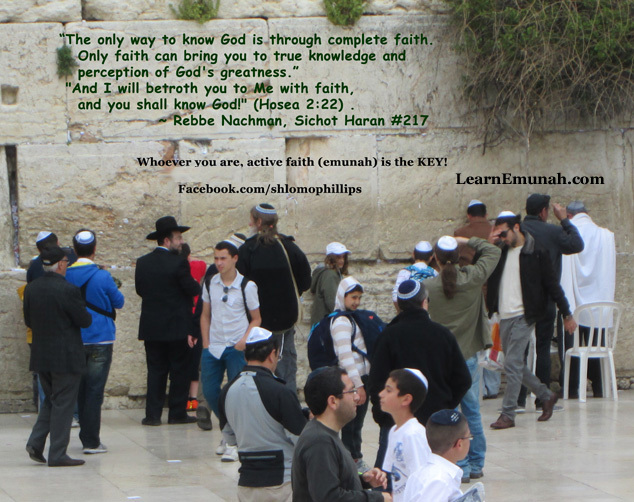 It must be acknowledged that the two sections at the Kotel, as in most of the Orthodox shuls, are not equal. There are reasons for this that have nothing to do with sexism, but this requires a knowledge of traditional ways that most non-Orthodox do not have. When one tries to explains these reason the reply is normally that it is merely justification for continued inequality. Highly assimilated Western Jews demand freedom of all traditional mandates. For many this is part of the ongoing diaspora struggle for gender equality. This makes complete sense from their perspective. Many of these "modern Jews" reject the Chosenness of the Jewish people outright. Rejection of the halachic gender roles is merely one issue among many. For them all of our traditions are up for grabs. They would like to see all religious distinctions erased and for all of humanity to be one amorphous hive mind. In other words, they support the Globalist ideals. They consider the surrender of distinctiveness to be necessary for equality to be realized. This collectivist ideal is totally opposed to Torah and would quickly lead to our destruction as a unique people. Assimilation has always been the biggest threat to our continued existence. That threat is huge today! On the other hand, traditional and Orthodox Jews often believe that by observing what they see as the divinely mandated gender separation at the Kotel (and in Orthodox shuls) we demonstrate our willingness to observe HaShem's instructions. Embracing these instructions demonstrates our resolve to be obedient to the rules of Torah and to our desire for the ultimate redemption. Such an attitude they say is conducive to our goal of witnessing the rebuilding of the Temple (may it be restored in our day!) and the coming of HaMashiach ben David, our Melech or King. Therefore to oppose these traditions logically evokes the opposite effect for those who accept this Traditional concept. Traditional and Orthodox Jews are not prepared to abandoned Torah (Baruch HaShem!) and the Redemption for political correctness. The Women of the Wall (the Reform Movement and similar non-Orthodox activists) are challenging the ancient Jewish traditions and aspirations even as Korah, Dathan and Abiram rejected the authority of Moshe Rabbeinu Thereby, it appears to the Traditionalists, that they are openly defying HaShem in His own Holy Place. It is just as if they were erecting idols! Their political correctness has become idolatry. Their actions are seen as being even more egregious than the Trefa Banquet that finalized the wall of separation between Orthodox and non-Orthodox communities in 1883 because they are assaults on our holiest places directly. By publicly defying Rabbinic halacha at our holiest site the Women of the Wall and their allies are seen as furthering the delay of the coming of HaMashiach ben David, the restoration of the Beit HaMikdash, and our ultimate Redemption. On the other hand... we are not living in biblical times. Rabbinic halacha is sometimes updated according to the needs of the day, so why not these rules? Indeed halacha is often established by what the Jewish people "do" rather than what the rabbis rule, hence much of local minhag (custom). Arguably, if enough Jews sided with the Women of the Wall and similar reformers then what they see as their full inclusion could become recognized as minhag if not halacha, but at what cost? Israel's Orthodox leaders are often critical of American Orthodoxy already for being less strict. The reformation of these rules doubtless seems plausible to the Women of the Wall, but they are nightmares for the traditional Jews who fear assimilation and the corresponding end of Jewish history. Today only a small segment of Jews are Torah observant to any real degree and such actions feel, to these Jews, like an assault on their religious rights and duties. The emerging "post rabbinic Judaism" looks more like Unitarian Universalism than the Derech HaShem of our ancestors. Gender roles everywhere, including in Israel, are completely different now than they were prior to the last hundred years or so. Women wield great power and influence throughout the Jewish and non-Jewish world (other than in Islam) today. Among the non-Orthodox Jews there are even many female rabbis -- much to the disapproval of the Orthodox. Women serve heroically in the Israeli military. They serve as judges, teachers, doctors... in every area of life women enjoy an equality unheard of in previous generations. How can we expect such 'liberated' women, living in free societies and enjoying equality with men in every other area of their lives, to submit to the gender limitations demanded by Traditional Judaism? It only makes sense that they want to "liberate Judaism" from what they perceive as outdated beliefs and practices. "It is God's Law! Just obey Him!" But is it? Where does the Written Torah tell us to worship at the Kotel? We should be worshipping on the Sacred Mount not at its western retaining wall, but the government of Israel blocks this for "security" reasons. Where does Torah say to have a men's section and a women's section at the Kotel? Where does Torah say to make the men's section large with complete libraries but to make the women's section much smaller with only a few dog-eared volumes available? The men's section now occupies about 3/4 of the Wall's adjacent plaza. Where does Torah say women can not read from the Torah scrolls, wear tallit gadol (i.e. the prayer shawls), tefillin, etc? It is Rabbinic Halacha that establishes these things, not the Written Torah nor the Mishna. Also, as Jews we readily acknowledge that HaShem is not a "He" and yet we use the male gender for "Him." Certainly the Women at the Wall have some valid issues that should be heard and addressed. BUT we are Rabbinic Jews and traditional halacha is clear. "Torah clearly establishes the rabbis as the decision makers of our people and they have decreed these limitations!" This is true, but where does the Written Torah say women can not be rabbis? If there were more important female rabbinic authorities they would surely rule to grant equal access to Kotel for women, right?" Whenever the Women of the Wall perform their acts of civil disobedience they are countered by Orthodox women. These women want to observe the traditional ways of Derech HaShem. They feel empowered by traditional Judaism and the Women of the Wall are seeking to steal this from them! The majority of Orthodox women do not want to see women parading around the Kotel with Torah scrolls, wearing traditional men's clothing (i.e. tallit etc) and screaming in violation of Torah and traditional Jewish sensibilities. These women prefer to peer through the screen that divides the two sections and watch the men observing the sacred ancient traditions as Jewish women have for thousands of years. Women of the Wall are seeking to deny Orthodox women their preferred traditional religious expression. Women in both camps feel under attack. This is not a conflict between men and women! The conflict at the Kotel and throughout Judaism is not between women ("the oppressed") and men ("the oppressors") as the narrative is inevitably spun in the media, non-Orthodox Jewish claims, and female rabbis. Rather, its between traditional Judaism and modern assimilated Judaism. Even more, it is a struggle between Rabbinic Judaism and what some are calling Post-Rabbinic Judaism: an egalitarianism that rejects the very heart of Judaism as practiced for the last 2500 plus years. To the right is a photo my wife took of me at the Kotel. I'm in the men's section (my wife was in the public plaza using a zoom lens). To my right is a women who sneaked into the male section having her picture taken by a man wearing a white kippa. To my left is an Heredi man clearly unhappy about her presence and presumably considering what if anything he should do about it. How sad it is that a woman feels she must sneak into the Kotel like a child stealing a piece of candy! How sad it is that a person who presumably is there because of the Kotel's holiness would violate halacha by doing so and would even want her photo taken doing it! How sad that this is even a question to be addressed! Here's the fundamental problem as I see it. There are no Orthodox female rabbis. It is forbidden by Orthodox halacha even though many Orthodox women would make spectacular rabbis in my opinion. Because of this Rabbinic ban woman who want to become rabbis must go through one of the non-Orthodox movements for their ordinations. As a result, their rabbinic training is not Traditional and so their teachings are not Orthodox, and so the communities they lead drift farther and farther away from Torah Tradition and become increasingly assimilated. This causes ever more division and ever breaches of halacha. 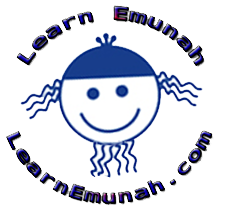 A rabbi (male or female) may be ordained through a non-Orthodox movement but that does not mean she/he can not observe and teach traditional halacha properly. Sadly, this seldom if ever happens. If it did greater credibility and acceptance would be merited and would help breach our divisions. What an empowering thing it would be to see strong female rabbis advancing traditional Judaism in non-Orthodox communities! How would the Orthodox respond if non-Orthodox synagogues were becoming effectively more traditional because of strong female rabbis? Of course Orthodoxy would continue to deny them at first, these things don't change over night. Surely this would make acceptance of female ordination much more likely and begin to heal the breaks between Orthodox and non-Orthodox. Alas how many female rabbis do this? How many non-Orthodox rabbis of either gender do this? The congregations that most of these rabbis serve are more like Unitarian-Universalist fellowships than Jewish shuls. There are even aware of non-Orthodox synagogues that actively support BDS other antisemitic groups, that even praise other gods in the name of interfaith relations right in their synagogues! I have witnessed both personally. The rabbis are not Torah observant and so the congregants becomes progressively less observant and more and more heretical. These non-observant synagogues frequently reject essential Orthodox beliefs, such as the uniqueness of the Jewish Covenant, the holiness and centrality of Torah, the importance of remaining distinct from other religions even as we respectfully dialogue with them. Many do not even believe in HaShem! There are so many critical points that missing in these synagogues and their rabbis (female or male). Of course the Orthodox are resisting this anti-Torah trend and erecting ever more walls against them! But if these female rabbis would embrace halacha and advance their congregation's observance, the Orthodox would eventually take notice and the stigma against female rabbis would gradually subside. How could the Orthodox Kotel authorities not react as they do when Women of the Wall publicly defy the Chief Rabbinate and violate the sacredness of the Kotel? When they force Orthodox male worshipers to hear their commotions in violation of Orthodox halacha and Tradition? Much of the problem these women experience they are bringing upon themselves. ... The story [in the linked Jewish Press article] is full of inaccuracies, as you can tell by their very description of the WoW mission - WoW does not seek to conduct egalitarian prayer at the Kotel but a women's minyan where they can pray as equals. The real debate, it seems to me, is about the kind of Israel and Judaism we want for the future until HaMashiach comes. Many of the Heredi demand levels of observance that simply are not feasible by most Jews in today's world. Sometimes some Haredim act inappropriately towards non-Observant women (and men); we've all seen such stories in the media. At the same time, the non-Orthodox are clearly weakening Torah observance and our ancient Traditions. The Heredi reactions are clearly creating an environment of fear that, to many, feels more like Islamic Sharia that traditional Jewish moderation. But then again, they are reacting to what they see as the desecration of our Holy Kotel and of their religious liberties to worship there as traditional Jews. Both sides have legitimate concerns. I think we need to find a balance and the acceptance of the inevitable facts: Some Jews are always going to be more observant, some less. Israel is currently a secular nation not a theocracy. As such it must allow for diversity among its citizens. Israel is better at maintaining this balance than any other country in the Middle East by far. Personally, I believe in equal rights for both genders, but I do not agree with these sorts of political actions at the Kotel. They seem very disrespectful to me. Using Torah Scrolls as political footballs to provoke discord and gain media attention is not acceptable! These actions desecrate the holiness of the site, the sacred scrolls, and offend the sensibilities of observant Jews everywhere. Women of the Wall, as political activist group, feed the lies or our enemies and blur the distinctions between Jewish Halacha and Muslim Sharia (of course, these women would be long since dead in any Muslim country if they performed such acts!). Their actions are also furthering the gulf between Observant and non-Observant Jews and this is something we do not need more of. For these reasons I can not support what they are doing. My solution, not that anyone asked. Expand the existing women's section to the size of the men's section by removing the stairway to the Mount so that the woman's section can be expanded on the Dung Gate side without infringing on the men's section in any way. Both sections should be governed by Orthodox halacha through the Chief Rabbinate. All demonstrations in those areas should be outlawed and strictly enforced. Rebuild the stairway to the Mount on the right (Dung Gate) side of the enlarged women's section, utilizing it as a visual and sound barrier, create an additional plaza farther down the Wall (towards the Dung Gate) for mixed/egalitarian worship where people can worship HaShem as they see fit within the limits of proper decorum for the sacredness of the area. This plaza could be governed by the Masorti Foundation. Everyone would then be able worship at the Kotel according to their traditions. There is plenty of unused space along the Wall to do this. When HaMashiach comes he can settle these issues for us. According to the rabbis the Second Temple was destroyed due to our infighting. We have now returned to the Land and the Holy City. We hope for HaMashiach and the rebuilding of the Temple in our generation, and yet we are more divided today than ever before. We need to stop fighting over expressions of Jewish practice and respect our fellows! Some will be more observant, some less, but we are all the people of HaShem. We need unity now! A Charedi Jew Explains: Why Do The Ultra-Orthodox Protest Women of the Wall? Jewish law states that a court may not hear one side of an argument without the other party being present. If anyone should want to judge anything, they must listen to both sides of the argument, and only then can they find the truth. Many have written that the Charedi community ought to be ashamed of the manner in which they have reacted to the Women of the Wall movement by inciting violence and disrupting other Jews from practicing religion in their own way. While I cannot disagree that violent protestors ought to be ashamed of themselves, Charedim are often depicted as the ones picking a fight and “withholding Moshiach from coming, by oppressing their fellow Jews.” That is one side of the coin; one must hear the other before concluding who is in the wrong. As a member of the Charedi community who spent three years studying in a yeshiva in Israel, I feel as if I might be entitled to express my opinion on the matter. I cannot and will not attempt to exonerate anyone who incited violence, but it is unfair to give no credence to the argument that the Charedim have. If you have ever visited the Western Wall, you have probably noticed that there are people who will politely approach anyone with inadequate dress, whether it be a woman with a sleeveless top or a man without a head covering, and give them something with which to cover themselves up. This is an act done peacefully and gently, not in order to impose the restrictions onto other people, but rather as a way for those praying at the Western Wall to avoid transgressing any sins by looking at someone considered “immodest” in their opinion. This is the way they prefer to deal with people — with kindness and graciousness. The main issue, in my opinion, with the Women Of The Wall is not the fact that they wear talliot (prayer shawls) and tefillin (phylacteries), although it is up for debate in Jewish Law if they are allowed to wear such objects. Rather, it is when their beliefs are imposed onto the ultra-orthodox community that this becomes an issue. The Talmud argues that “Kol b’eisha erva” — the voice of a woman is her nakedness (Masekhet Berakhot 24a). I do not expect the Women of the Wall to agree with this, nor do they need to, but what is expected of them is not to be provocative. While in their eyes singing out loud, sincerely to G-d, is in no way provocative, the Charidim wholly disagree. When they refuse to stop, the Chareidim see this as an offense. This does not in any way condone violence, but it does make it more understandable as to why they are so heated up about this. The Women of the Wall are causing men to hear things that in their opinion are immodest. This opposition to Women of the Wall is not an oppression of a different belief; it is a reaction to what they believe is a war on their own beliefs. The Charedi community feels like The Women of the Wall are the ones imposing their lack of belief in certain areas onto the of ultra-Orthodox community. Charedim are belittled and objectified by the media in Israel and elsewhere because of their “outdated” beliefs. The demeanor that has unfortunately developed due to this societal unsavory reality is a cultural abruptness and aggressiveness used whenever they feel threatened, which people often misinterpret as if they are being condescending and snobbish. I believe that they feel threatened by the Women of the Wall’s determination to do as they please, even when it comes at the expense of other Jewish sects beliefs. This is how I would present the other side of this argument. I hope I adequately have done so. After seeing both these sides, one can conclude as they see fit. In my opinion all this seems to be a miscommunication. Each side feels like the other is imposing their beliefs on them, the two sides need to sit down and figure out a way not to impose their beliefs onto one another. The author is a member of the Brooklyn Charedi community. To join the conversation go to my Facebook post on this.